Here are two visually exciting shaped board books for the very young. They will do more than entertain as they encourage young listeners to look carefully. 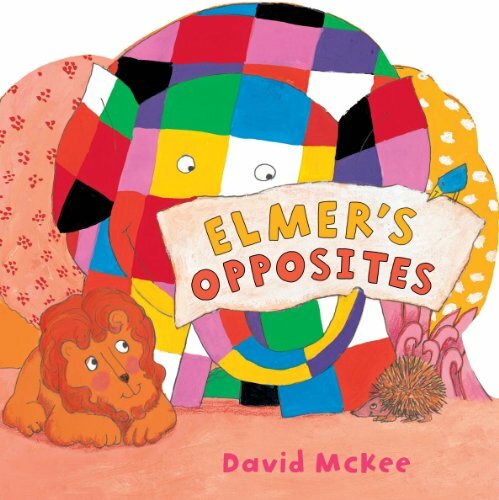 The tiny bird is tucked away under Elmer’s large trunk on the ‘big and small’ page in Elmer’s Opposites . For this age group we look for pictures that lead to more than just recognition of objects and creatures. Could the reason why one rabbit is fat and the other is thin be linked to the ice-cream clutched in the chubby paw and the healthy carrot held by the thin one? It is a brilliant idea to unite black and white in the picture of the patchwork elephant on the last page: opposites can exist alongside each other. The pictures often combine energy and humour. 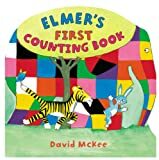 Each page of Elmer’s First Counting Book is a delight, not least those showing the two crocodiles rocking with laughter, the six colourful butterflies gently fluttering and the nine dazzlingly blue rabbits running across the page at a terrific pace. 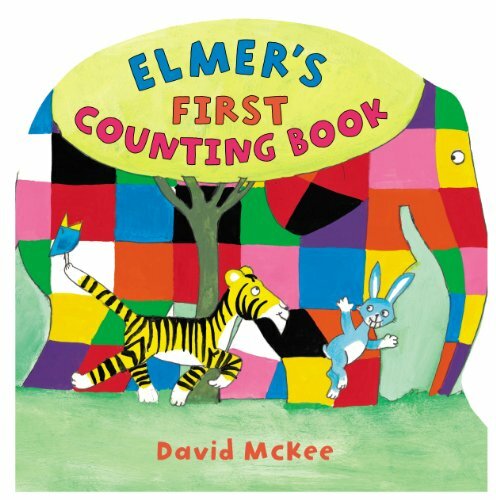 Colourful, dynamic and likely to raise a smile, these books will stand up well to the enthusiastic handling they are likely to get from 2-5 year olds.